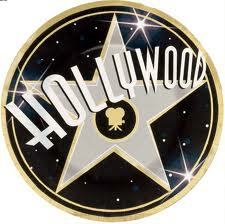 Celebrity English: Skyfall a Big Hit at the Oscars! Skyfall wins Best Original Song at the Oscars! 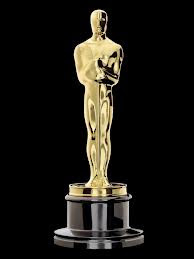 Adele took the 85th Academy Awards (Academy of Motion Picture Arts and Sciences) by storm this year with a sizzling, powerful vocal performance of Skyfall! 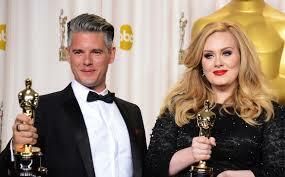 After enthralling and memorizing a celebrity filled audience, Adele went on to claim an Oscar, with the famous British music producer Paul Epworth, for the Best Original Song of 2012! Skyfall opens with a wonderful, bluesy style and a catch line that screams for attention! 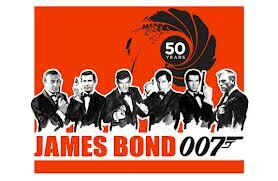 However, the song doesn’t stray too far from the original music themes of the James Bond movie series. A common formula for success! Paul Epworth and Adele did a fantastic job of composing Skyfall. Paul created the tune and Adele put the lyrics to Skyfall. Paul created the tune after listening to the first 13 James Bond movies. Adele loved the dark, haunting ballad sound and put words to Skyfall in a draft form in 10 minutes. And of course, after a lot of hard studio work, Skyfall was created! Take a listen and enjoy! First, listen to the Song Skyfall by Adele. Next, fill in the blanks with the missing verb forms. If this is difficult listen again a few more times. Listening Hint - most of the missing words are repeated in the song over and over. Finally, check your answers below and look up any new words. Enjoy while you Listen and Practice! Take a look at the Skyfall lyrics and fill in the verb forms you missed. Then listen to Skyfall again; especially to the parts or words you found difficult. And, of course, try singing Skyfall with your friends at your next karaoke party!The words will come easy now! Until next week enjoy some more of the fabulous Adele! Adele is one of the most talented singers in the world!Her music is great and this post is great too!